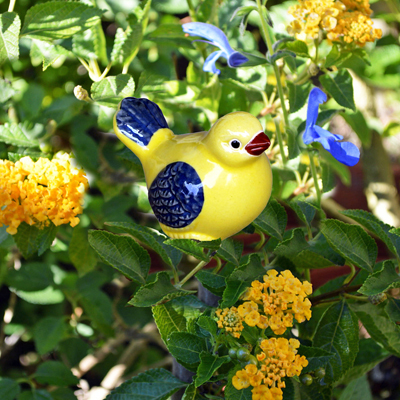 These vivid Yellow Birds with blue wings and tail bring a delightful highlight wherever you choose. 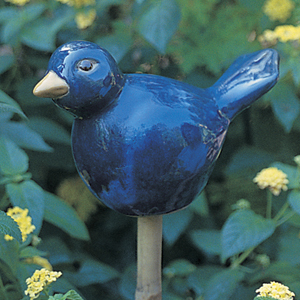 Place them on bamboo stakes (not included) among your border flowers. Enjoy them in containers around the patio. Even among indoor flowers and foliage. 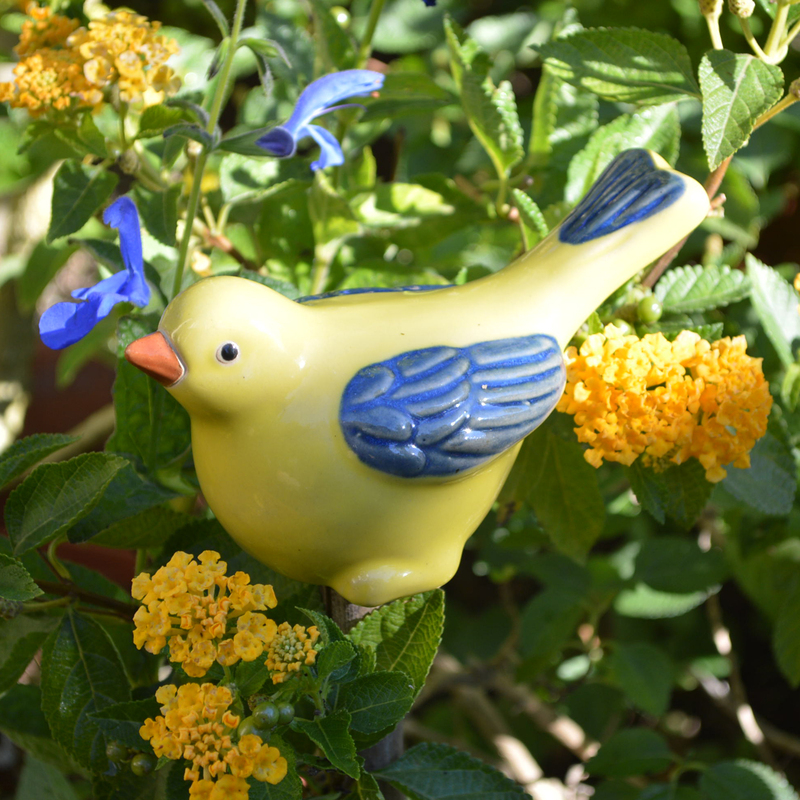 These cheerful yellow birds have blue wings and tail. 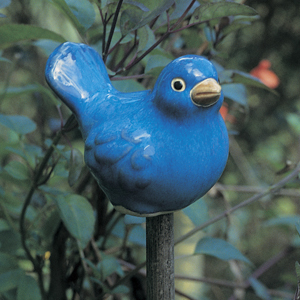 6" beak to tail, 3-1/4" high x 3" wide Case of 6 Just like birds in nature, colors may vary.